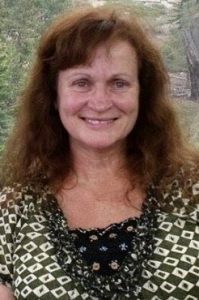 Tammy J. Pickett, 59, of Olean passed away Wednesday, December 5, 2018 near Shelbyville as a result of a car accident. She was born in Cincinnati on May 10, 1959 the daughter of Ernest and Barbara Loos Clift. She was married to Richard Pickett on June 30, 1984 and he survives. Other survivors include one son Bill (Kellie) Pickett of Omaha, Nebraska; one step-son Jeff Pickett of Indianapolis; one step-daughter Jennifer Pickett (Jeff) Smith of Versailles; two grandsons Brayden and Tanner Pickett; five step-grandchildren; her mother-in-law Ruth Pickett of Correct; two brothers Ernest (Tina) Clift, Jr. of Osgood, and Ben (Cami) Clift of Columbus; four sisters Rita Seaver of Batesville, Sheila (Harris) Osoffsky of Louisville, Kentucky, Kathy Clift of Greenwood, and Molly Manis of Milan. She was preceded in death by her parents. Mrs. Pickett was a 1977 graduate of South Ripley High School. She was a 30 year employee of GECOM in Greensburg where she worked in assembly. She had also been an employee of the Manderley Health Care Center in Osgood and the Hanging Tree Restaurant in Versailles. Tammy enjoyed visiting the casinos, cooking, shopping, and tending to her flowers and garden. Funeral services for Tammy will be held on Monday, December 10th at 10am at the Stratton-Karsteter Funeral Home in Versailles with Pastor LaJoe Dunbar of the Mt. Sinai United Methodist Church officiating. Burial will be in the Cliff Hill Cemetery in Versailles. Visitation will be on Sunday from 4pm to 7pm. Memorials may be given to the Cliff Hill Cemetery or the Ripley County Humane Society in care of the funeral home.